One giclee print was produced, framed (25" x 25") and sold. 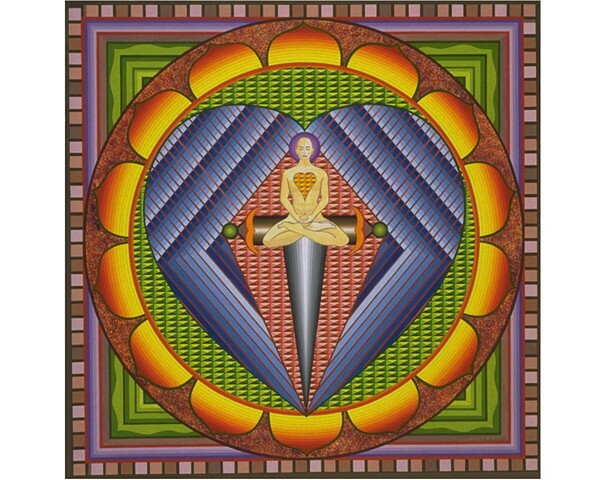 The yogi in this painting is in deep meditation. Meditation is a direct route to the heart, where the divine being resides. In this painting, the heart and sword represent the marriage of skill and compassion. I created this image as I contemplated how the power within each person leads us to achieve this integration.